Imagine a company where you are defined by your talent and your contribution to the organisation. A company that allows you to create your own career path, unconstrained by what you studied or what your previous experience has been. Imagine a company where extraordinary results are rewarded and celebrated company-wide. Does this sound too good to be true? Well, it isn’t! We talk about meritocracy a lot at CUB; it is integral to our operations and our culture. So, what are the benefits for you, if you join our meritocracy? • You will not be defined or limited by your particular course of study or your previous roles. Typically, your degree and training define where you can and can’t go in your career, but not at CUB! • There is no such thing as a ‘typical’ career path. Just because you started in finance doesn’t mean you couldn’t end up in marketing. At CUB, the sky is the limit. Whether your ultimate goal is to be a VP or a head brewer, we will support your dreams. • A meritocracy fosters innovation. An open exchange of ideas allows everyone to share their opinions, ultimately bringing the best and brightest ideas into fruition and keeping us at the cutting edge of the industry. • CUB is proud of its culture of high achievement and success. When one succeeds, we all succeed, and a meritocracy encourages each of us to be better and to do better. At Carlton & United Breweries, our people are encouraged to think creatively and to push the limits. The greater the results, the bigger the challenges and opportunities that are thrown their way. 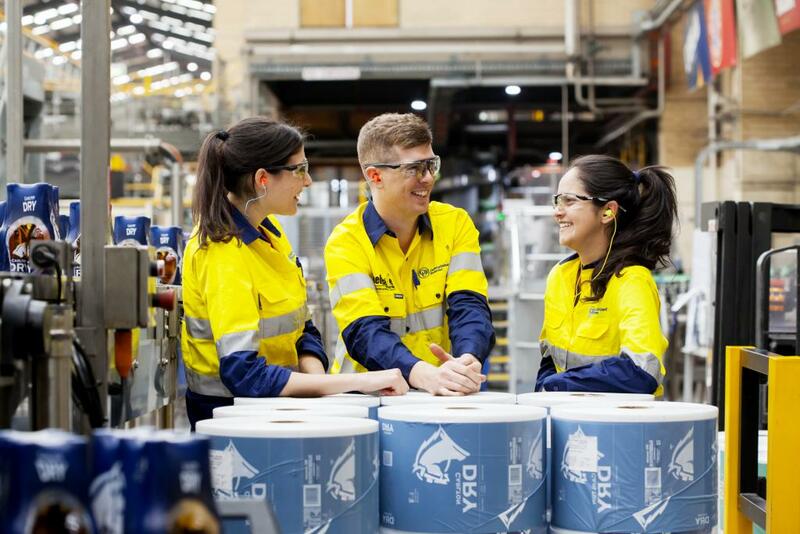 We know that our greatest strength is our people, and our commitment to meritocracy is fundamental to the successes of both our individual team members and our organisation as a whole.